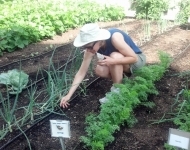 July 1, 2014 – Alicia Mercik, a master gardener from the Penn State Cooperative Extension, tends to vegetables in the garden. 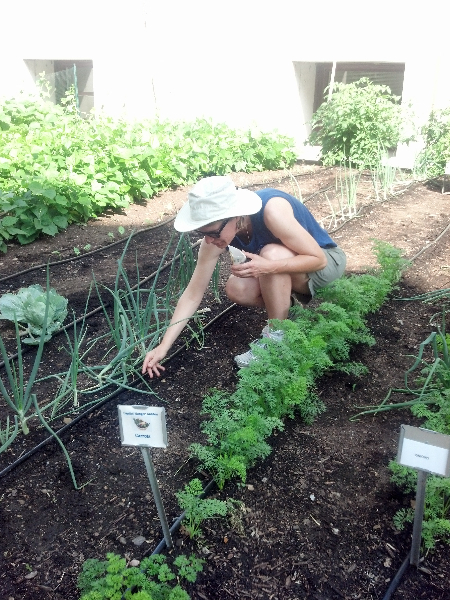 July 1, 2014 – More carrots, as well as a new vegetable (Kohlrabi), are planted by master gardener Amy Reumann. 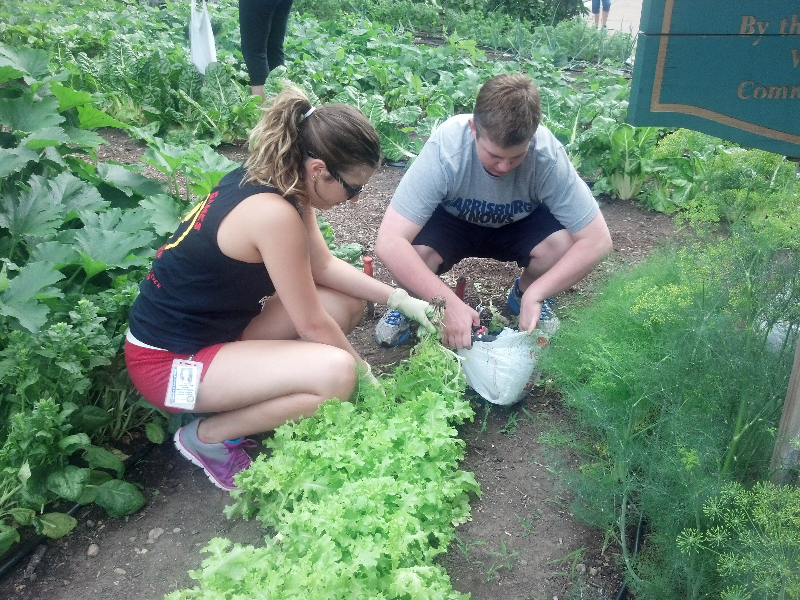 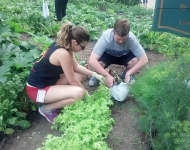 July 8, 2014 – Lettuce, spinach and red beets are harvested by volunteers from Senator Rob Teplitz’s office. 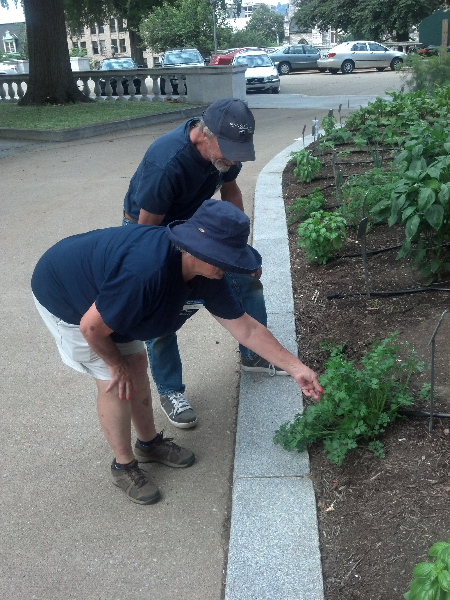 July 8, 2014 – Master gardeners from the Penn State Cooperative Extension, including Bob Bauer and Carol Webb, inspect the parsley in the Hunger Garden to determine if it is ready to be harvested. 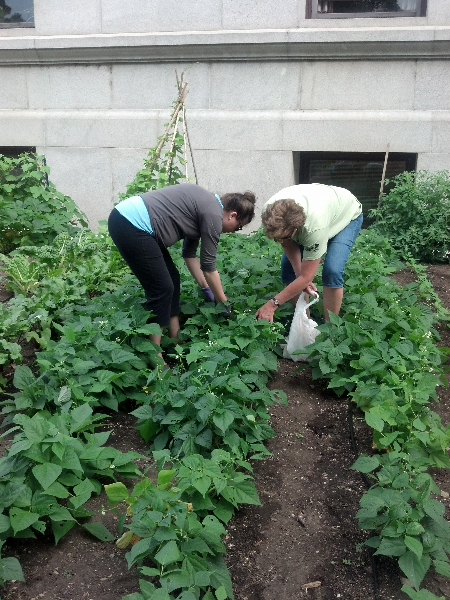 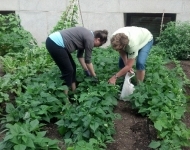 July 8, 2014 – Sarah McCree and Susan Steadman, volunteers with the Central Pennsylvania Food Bank, help in the garden to harvest green beans which will be transported to the food bank and a local soup kitchen for needy families. 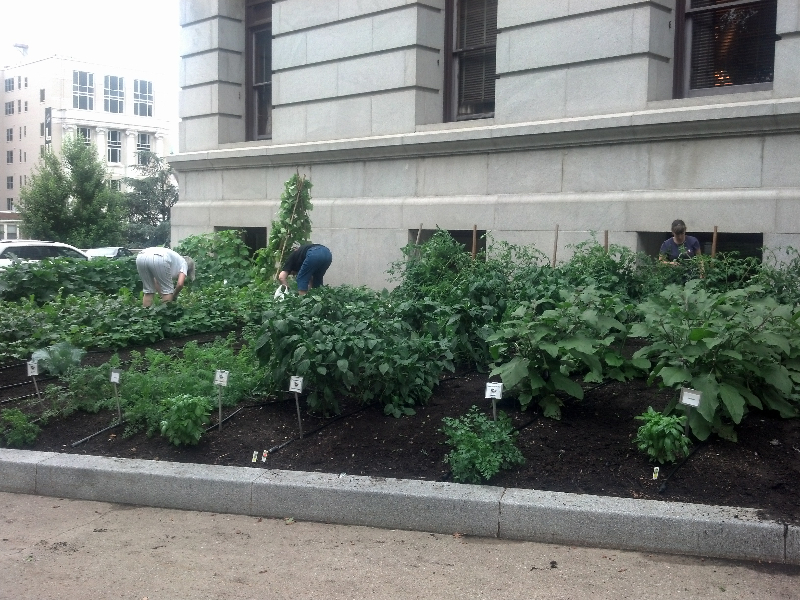 July 8, 2014 – Growth is underway in the Capitol Hunger Garden with volunteers harvesting close to a dozen vegetables and planting some new vegetables in their place. 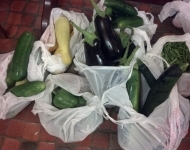 July 15, 2014 – Zucchini, cucumbers, red beets, green beans, eggplant and squash are harvested and delivered to a local soup kitchen to feed those less fortunate. 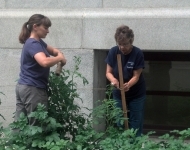 July 15, 2014 – Master gardener Wendy Plowman helps Tara Davis, a volunteer from the Central Pennsylvania Food Bank, stake tomatoes using the Florida weave method. 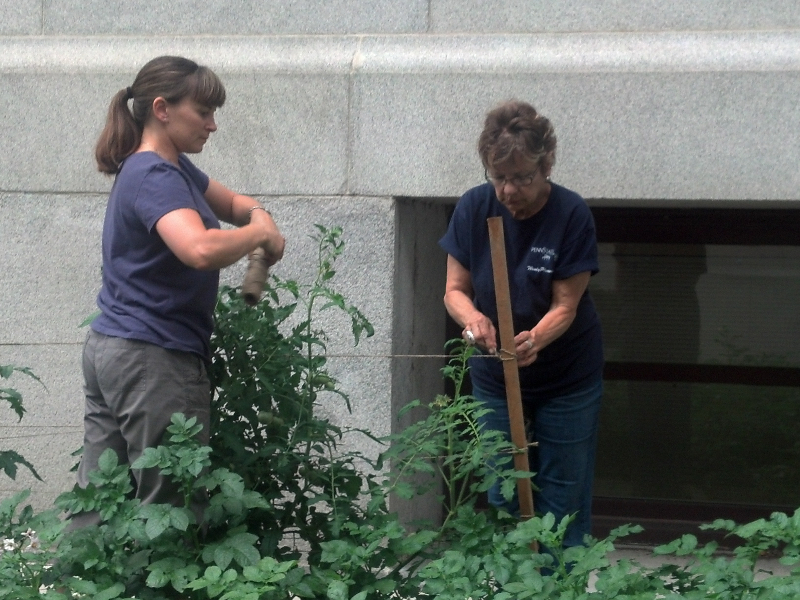 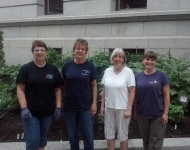 July 15, 2014 – Volunteers – including Deb Cernugel; Wendy Plowman, master gardener from the Penn State Cooperative Extension; Beverly Stickley; and Tara Davis – donate their time in the Capitol Hunger garden to weed and harvest vegetables. 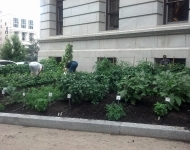 July 15, 2014 - A view of the garden with another harvest underway – thanks to weather conditions and the generous efforts of volunteers. 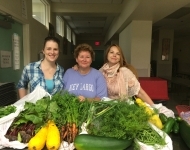 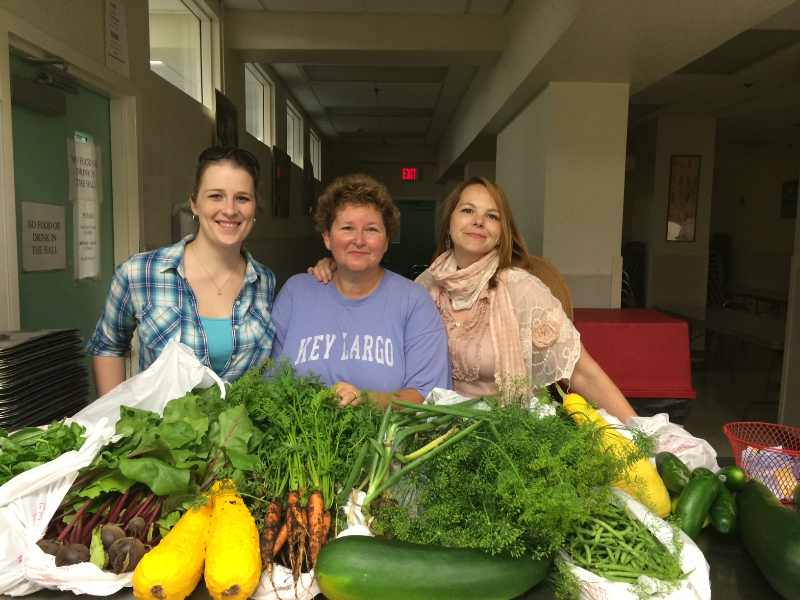 July 18, 2014 – Local volunteers including Tiffany Price, Lisa Lilley and Dawn Orvis deliver a number of vegetables including over nine pounds of zucchini to the Downtown Daily Bread, a local soup kitchen located in Harrisburg. 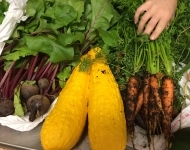 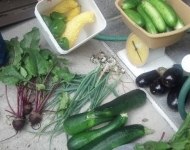 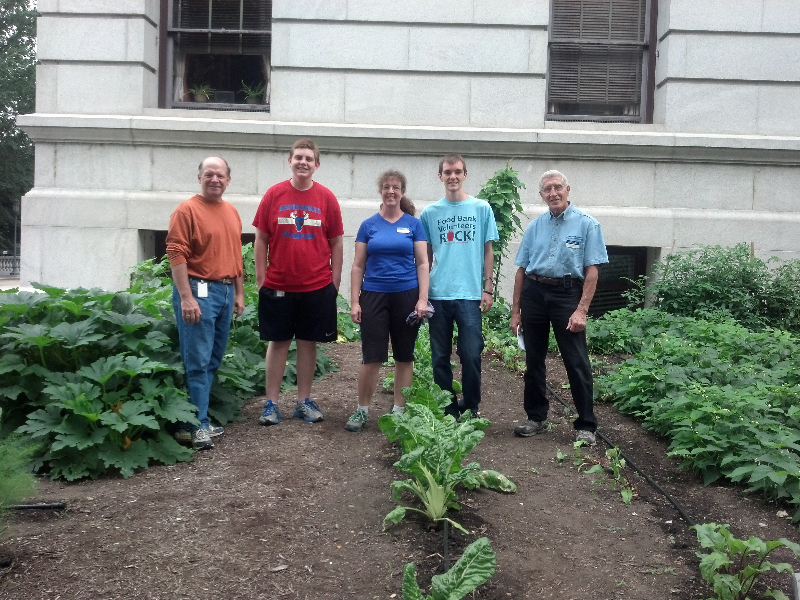 July 18, 2014 – Another successful harvest of vegetables from the Capitol Hunger Garden, thanks to the efforts of volunteers; this harvest consisted of beets, squash, cucumbers, zucchini, basil, parsley, lettuce, kale and carrots. 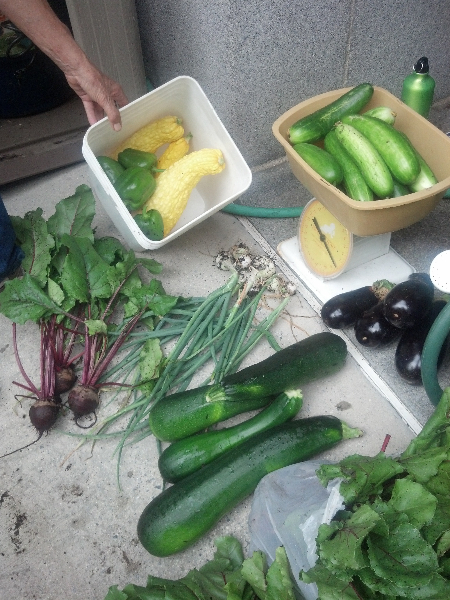 July 22, 2014 – Kudos to the efforts of local volunteers and master gardeners for assisting with another successful harvest of vegetables. 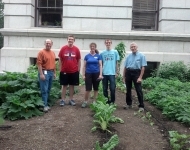 Those pictured: Rep. Glen Grell; Adam Firestone, intern with Senator Teplitz; Diane Leonard, master gardener; Matt Hess, volunteer with the Central Pennsylvania Food Bank; and Terry Flanagan, master gardener. 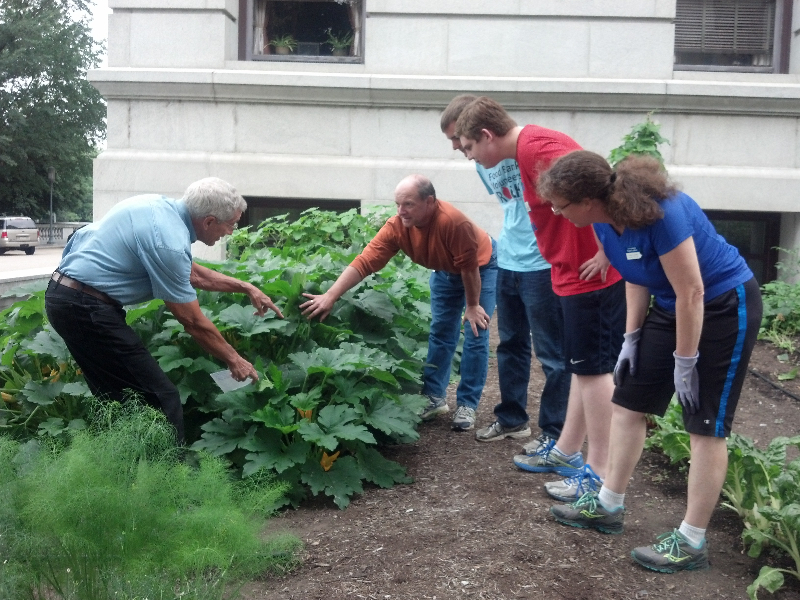 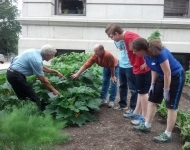 July 22, 2014 – Terry Flanagan, master gardener from the Penn State Cooperative Extension, points out the growth of zucchini in the Capitol Hunger Garden to volunteers including Representative Glen Grell. 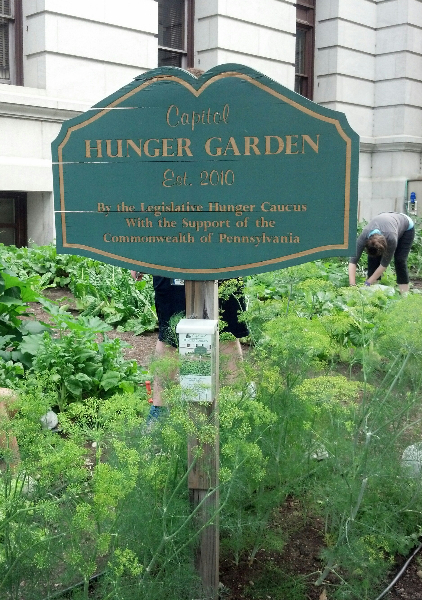 August 12, 2014 - Volunteers and a master gardener from the Penn State Cooperative Extension weathered soggy conditions to harvest nearly 60 pounds of vegetables in the Capitol Hunger Garden to feed the hungry. 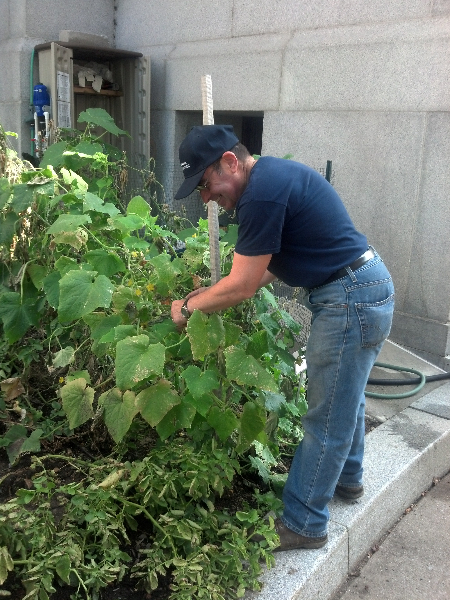 August 19, 2014 – One of many cucumbers is harvested by local volunteers and master gardeners and then delivered to the Downtown Daily Bread, a local soup kitchen located in the city of Harrisburg. 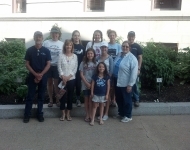 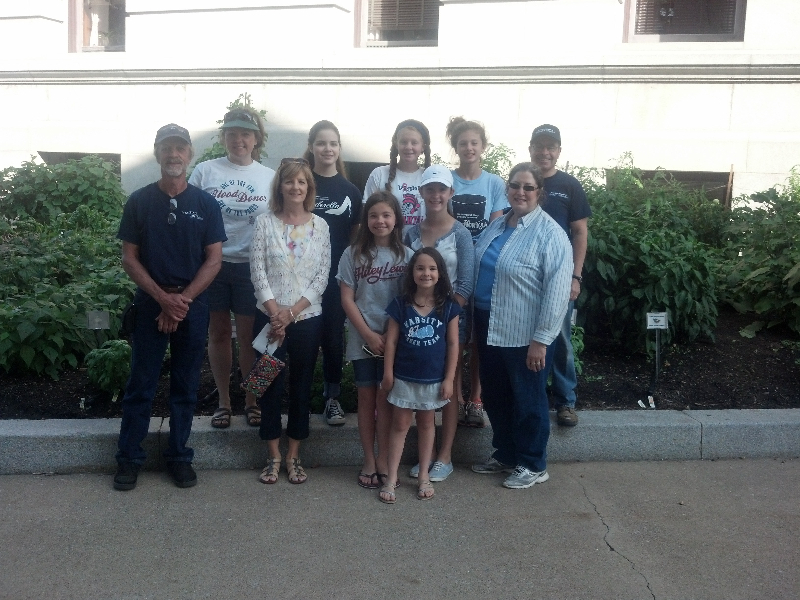 August 19, 2014 – The Girl Scouts in the Heart of Pennsylvania (Troop #10846 consisting of 7th and 8th graders from St. Margaret Mary School in Harrisburg) prepare to volunteer with their troop leaders, alongside master gardeners, in the Capitol Hunger Garden. 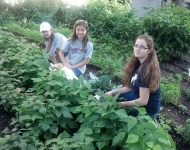 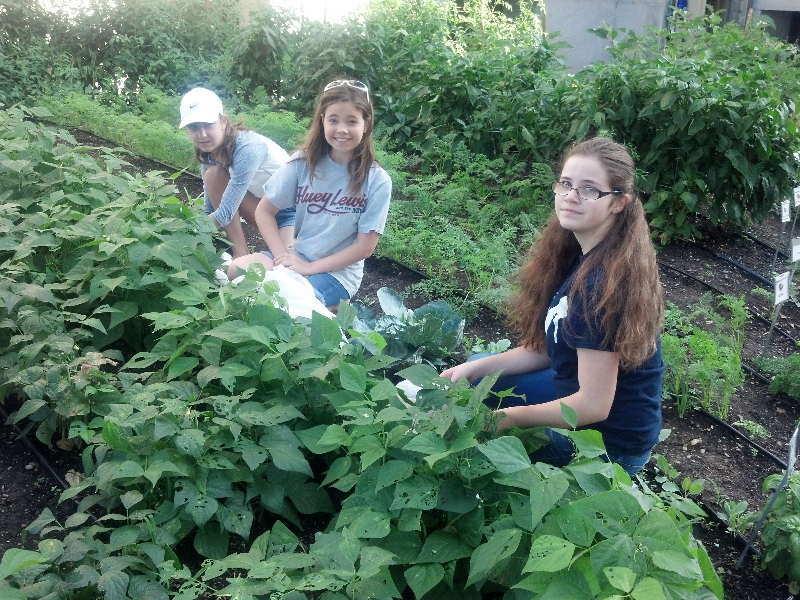 August 19, 2014 – Members of a local Girl Scout Troop from Harrisburg fulfill their service by volunteering to weed and harvest green beans in the garden. 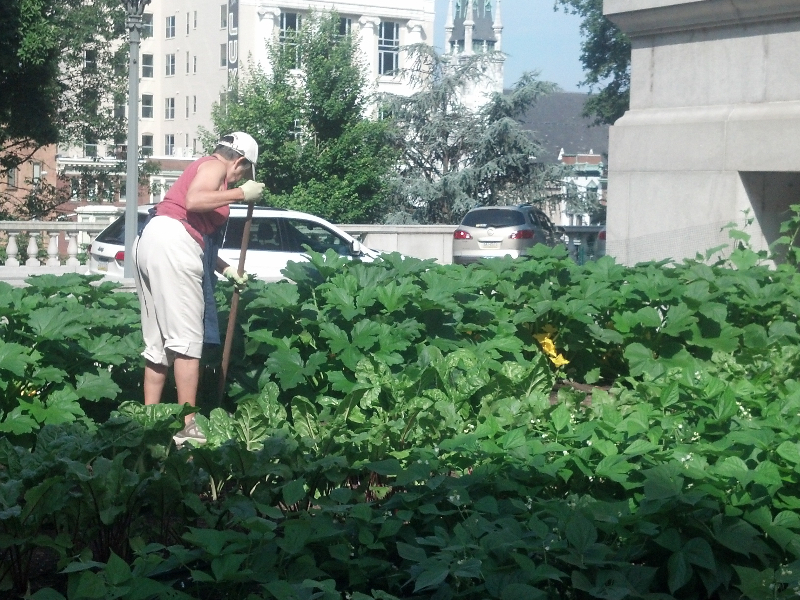 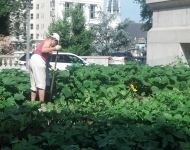 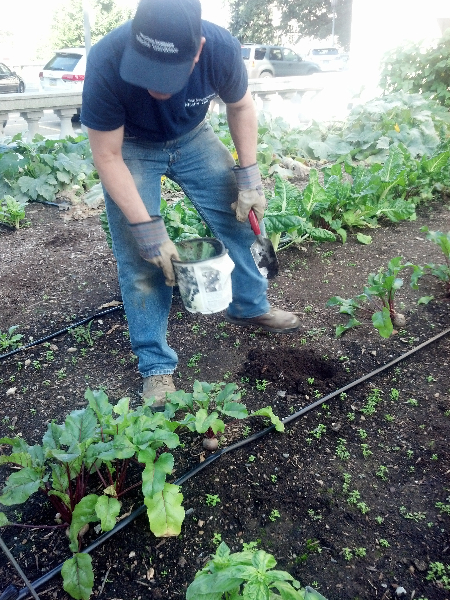 August 19, 2014 – A master gardener plants a new vegetable – collard greens – in the Capitol Hunger Garden. 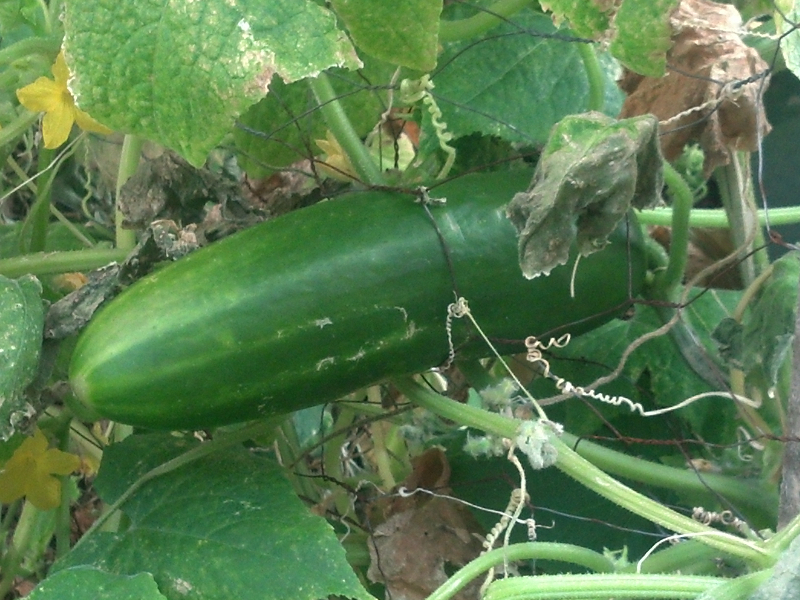 August 19, 2014 – Cucumbers are harvested by master gardener Steve Cordaro. 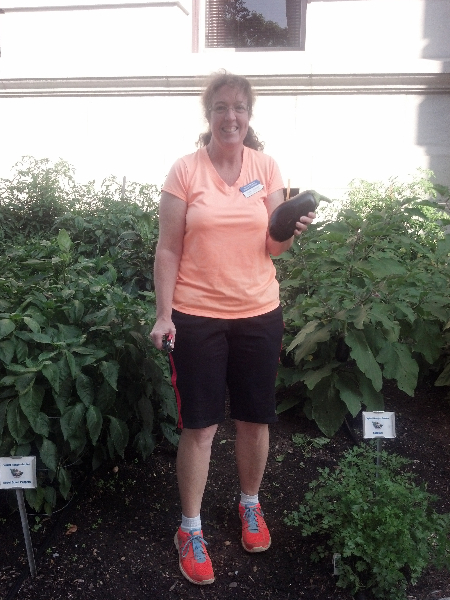 August 19, 2014 – Diane Leonard, a master gardener from the Penn State Cooperative Extension, shares a sample of eggplant harvested in the garden.